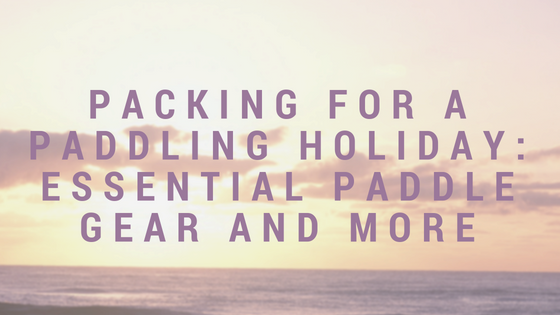 You’ve booked a paddling holiday and you’re excited to go – but first, you have to pack. Your holiday or tour provider will often help you out with some of the essential gear, but you’ll still be expected to bring your own stuff. The question is, what sort of paddle gear do you need? Use this post to make sure you have some of the most important bits and pieces for safety, comfort, and fun. Rather than just a bullet-pointed list, I’ve tried to go in-depth to help you make the right packing choices. Don’t buy or pack any paddle gear until you’ve checked what your tour operator will be providing you. You’re unlikely to have to bring your own kayak or raft! They can also provide you with some other paddling essentials, such as buoyancy aids, paddles, and perhaps wetsuits, maps and compasses. Many operators will give you camping gear, such as tents or sleeping bags, although they can sometimes incur an extra charge. Some will even do your food shopping for you, or provide meals. Before you begin to pack, think about what you’re going to pack everything into. Start with your main bag, the contents of which you may or may not be taking on your paddling trip. You might also be packing for other activities, like some time spent in a city. A suitcase is sometimes workable, but a backpack or duffel bag can be more practical. When it comes to packing for your paddle trip, you need to think about keeping things light, compact, and dry. Packing your things into dry bags and dry boxes is likely to be the best way forward. 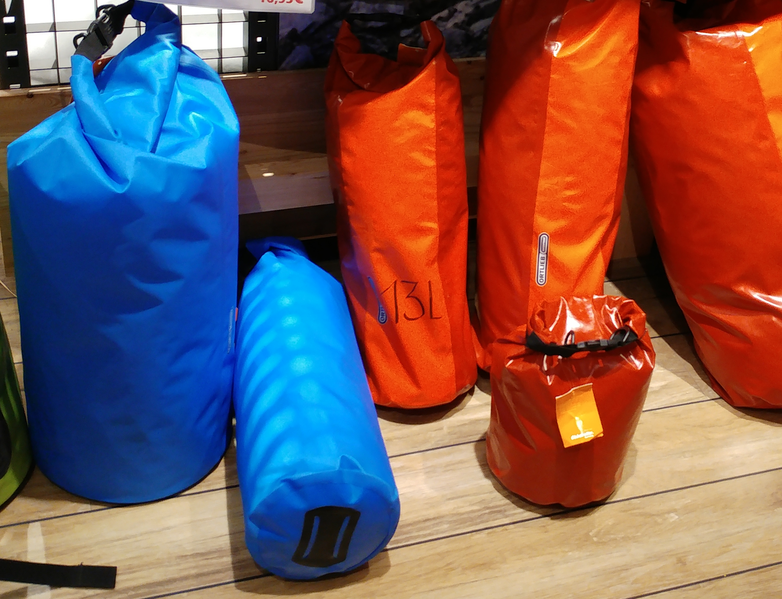 You can pick up dry bags from most outdoor stores, and many other places. In the UK, they’re available in places like Sports Direct, Go Outdoors, and even Clas Ohlson. I’ve even managed to get one at the last minute in an airport. Get a small bag to keep on you, which you can use for your phone, money or anything important. If you want to cut down on weight, I suggest something like the Osprey Ultralight DrySack, which is thin and light but still waterproof to protect your paddle gear. Top tip: Close your dry bag by rolling the top down a few times, then turning it back on itself to clip it together, so it doesn’t just unroll. Remember to check how much space you’re going to have to take things with you. Even a rough idea will help you to avoid overpacking. Practical clothes for your paddle trip will keep you comfortable – and as dry as possible. Start with a swimsuit, which you may or may not want to wear while paddling. It’s not essential, but you might find it more practical. Even if you don’t wear it while you paddle, you’ll probably want to take a dip at some point. And remember to pack some underwear, for those occasions when you’re not in your swimsuit. 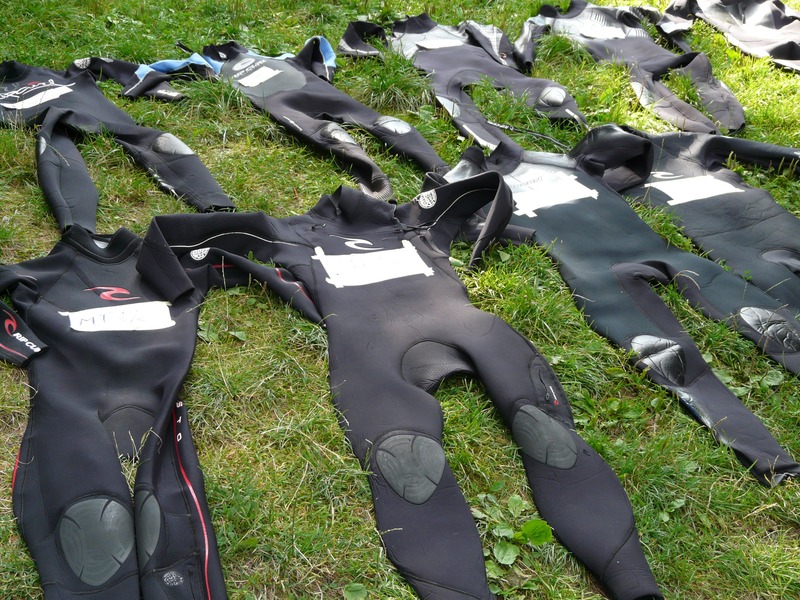 You might want to consider wearing a short wetsuit (or longer one in cooler weather) as part of your paddle gear but it’s definitely not a necessity. Your tour operator might provide you with one or you can take your own. If you do decide you want to take one, don’t bother spending lots of money for your first trip. You can pick up affordable ones from several places – even Lidl or Aldi on occasion! To wear on the bottom, quick-drying shorts or trousers will…well, dry quickly. Even if they get soaked, they don’t take long to dry. A rashguard top or a moisture-wicking one is good to wear on top and can help to protect you from the sun too. It’s a good idea to pack some extra layers, including a waterproof one – even if you’re not expecting rain. As for your feet, neoprene shoes are a great option. They’ll protect your feet and you won’t ruin them when you get in the water. It’s easy to get a cheap pair (although I can’t guarantee they’ll last long), but you don’t have to buy them. If you have some sandals or other shoes that you’re happy to get wet, give them ago. Just no flip-flops! You might want a different pair of shoes for walking around in. What about accessories? A hat will protect your head and face from the sun – preferably one that won’t get blown away by the wind. Wear sunglasses to protect your eyes too. Whether you’re wearing sunglasses or ordinary glasses, you might find a glasses strap handy to keep them on your face. A waterproof watch is a good idea as well. Looking after your health and safety is a top priority on your paddling trip, and you’re going to want to get clean too. There are a few essentials to include with your general paddle gear. Pack a towel first, so you can dry yourself off whenever you need to. A microfibre towel will help you cut down on bulk, and they dry quickly too. A microfibre flannel/cloth is good for having a wash.
Take plenty of sunscreen, even if you think it won’t be that hot or sunny. You might be after a tan, but no one wants to get burnt – and you definitely don’t want skin cancer. Pack bug spray, to protect your skin from mosquitoes, midges and various other annoyances. 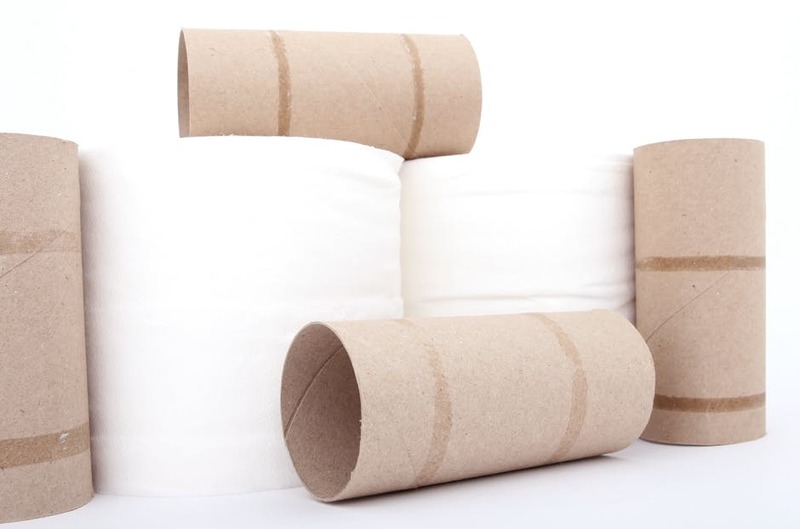 When you pack toiletries, think about the environment, especially if you’re camping. You can buy biodegradable soap and shampoo. As for toothpaste, you can find some natural options, but you can also simply use only a tiny amount and avoid spitting it out. Toilet paper is a necessity too (I recommend putting it somewhere to keep dry! ), and you should also take a small spade/shovel for digging holes and burying waste (toilet waste only – take other waste back with you). Deodorant or antiperspirant will help to keep body odour away. You might also want to take some wet wipes, which are handy for having a quick wash. Just make sure you take them with you when you leave. Antibacterial hand gel makes cleaning your hands easy too. Menstrual products, whether you like pads, tampons or a cup (although you might find a cup difficult to keep clean while camping), will also need to go with you when you leave. So make sure you have a bag to keep used products in. Antibacterial gel will also be handy for cleaning your hands before changing menstrual products. Take at least a small first aid kit, with some of the essential items in it. You will want some plasters, painkillers, antiseptic wipes, gauze, adhesive tape, scissors, antihistamine, and tweezers. For a short trip, a mini first aid kit is likely to be all you need. If you’re going on a guided trip, your guide might have one too. If you’re camping, you’re going to need a few things on top of your paddle gear. Camping gear might be included in the price of your trip or the tour operator might offer things to rent. If not, you could consider finding somewhere nearby to rent what you need, especially if you have a long journey before arriving at your paddling destination. A lightweight tent gives you somewhere to sleep, keeping bugs away and protecting you from wind and rain. A sleeping bag and sleeping mat will keep you comfy, and you might also want an inflatable pillow and a sleeping bag liner (good for sleeping in on its own if it’s too hot). Some things for cooking are handy too. I love Trangia stoves, and these are often what tour companies will give you. They last for years and years if you take care of them, and they’re really compact. Everything fits inside of each other to save space, and you can choose different sizes. They come with gas burners, or you can also use gel or methylated spirit. Remember to take enough fuel! If you love a cup of tea or coffee but don’t want to unpack your stove, you might also like the Kelly Kettle. You light a little fire with kindling in the bottom to boil your water in the top. Take anything else you need to prepare, cook and eat food too. This might include a lighter or matches, chopping board and knife, plates and bowls, cutlery, and cooking utensils (like a big spoon). Some things for washing up will be useful, so pack some biodegradable washing up liquid. You should also remember some bags for your waste – don’t leave anything behind! Other useful camping tools include a head torch, and a pen knife or multi-tool. On some guided tours, you’ll have your food provided and even cooked for you. Other tour operators might be kind enough to do some shopping for you. For example, Do the North runs self-guided trips in St Anna, Sweden, and they’ll have your food ready and packed when you arrive. If you have to take care of your own food, you’ll want to focus on easy camping recipes. Think about when you’ll want to eat when planning your meals. For example, I like to lounge around in the morning and get on the water after lunch, so I’m not too worried about having a packed lunch. But if you want to stop for snacks or lunch in the middle of the day, you’ll want to prepare something in the morning and have it easily accessible. Obviously, you won’t have a fridge, so you don’t want easily perishable food. A cool bag and some ice packs might keep some things cold for a day or two. Apart from tins and packets of stuff, you’ll find that lots of fresh fruit and veg will keep quite well. You can also take dried and cured meats and fish. You can cook well while camping – it doesn’t all need to be dehydrated or out of tins! Water: you need to have plenty of it for your trip. Make sure you have a water bottle or two, as well as some larger containers. Last time I needed a container, I just picked up a foldable one from Clas Ohlson (they really are good for affordable camping bits and pieces). Ask your tour provider about where you can fill up your water, so you know if you need to do so before you arrive and where you can fill up while out and about. It’s better to have too much water than not enough! Handy tip: Get a clip for your water bottle so you can clip it to your kayak/canoe/buoyancy aid etc. and it will be easy to reach. You can also use a hydration bladder. Remember you’ll need water for drinking, cooking and washing up. In some places, you might be able to use the very water you’re paddling on for cooking or washing up. I’ve used the brackish water from the Swedish Baltic coast to cook pasta and wash my pans and plates. Check that it’s safe first! Of course, you can pack some other drinks too. Take some beer or something to flavour your water with (I like the tiny Robinsons concentrated squash in squeezy containers). Just remember that liquids are heavy and will take up a fair amount of space. You’ll have plenty of fun paddling, of course, and there might be some places to explore when you’re on dry land. But you might want to take a few extra things for fun. Fishing is a great choice – although I would suggest doing it from dry land, unless you have experience doing it on the water. You can get a compact fishing kit so it doesn’t take up too much space. Take a camera (preferably waterproof) to record your adventures. 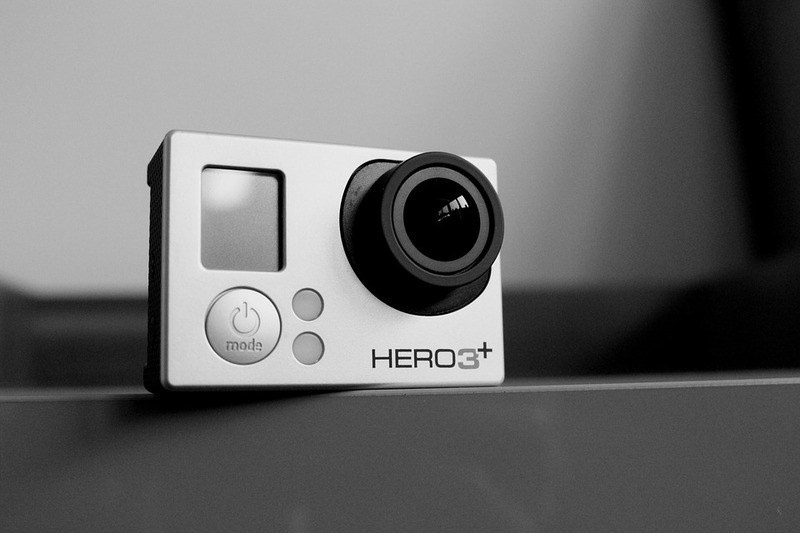 Wear an adventure camera like a GoPro if you don’t want to miss anything. You might also want to take a notebook, or a book to read during your downtime. Binoculars are fun for spotting wildlife and various other things. You might even want to take something to play with in the water, like a ball. Your tour company will hopefully provide most of the things you need for your trip. As well as your mode of transport and paddle, you should have a buoyancy aid/life jacket, spray skirt if you’re kayaking, and possibly a helmet for some activities too. Other handy items include a bilge pump and sponge for getting rid of water, a map(s), compass and/or GPS, whistle, ropes and perhaps a paddle float. If you’re booking with a tour company, you often won’t have to worry about any of these. They will sort it out for you. This might all look like an awful lot of stuff, but you can pack light. Remember that you’ll be wearing some of it, and much of the rest of your paddle gear packs down very small if you’re smart about it. Thanks to Martin, Pxhere, Meditations, Argus fin, Pxhere, and ciupa for the images.